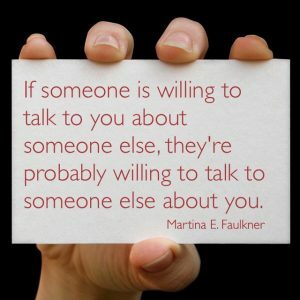 There is so much more to life and living than gossip…that one just has to realize this. And perhaps teach oneself .that it is much more interesting to observe and learn than to chismear as they call it in Spanish. Yet we can also be entertained by a gossip magazine…every once in awhile those amuse.